Four teenagers have been arrested on suspicion of affray after a serious incident at Shenley Brook End School on Friday (April 5). 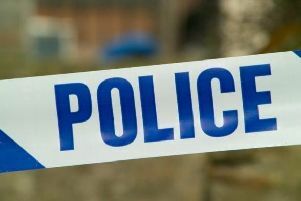 It comes after a silver Vauxhall Corsa car pulled up outside the school between 3.10pm and 3.40pm on Friday afternoon. Reportedly four people then got out, some with their faces covered and armed with knives, and made their way into the grounds of the school. Investigating officer, Sergeant David Brenchley of the Milton Keynes Emergency Response Team, said: “We understand that this report would have caused concern within the community, but further enquiries now suggest that there is no evidence that knives were taken into the school, and there were no injuries. "I would like to reassure the community and parents that children in the school were not put at risk. > A 19-year-old man and three boys, aged 13, 15 and 16, all from Milton Keynes, have been arrested on suspicion of affray. All four have been released on bail.